Even with preventive maintenance, a system can breakdown. B&G Heating & Air Conditioning in Jacksonville is ready to help you keep comfortable. Contact us any time - our AC technicians are available 24 hours a day, 7 days a week. If you've spent some time looking, you know that finding quality Jacksonville AC repair technicians and repairmen can be difficult. Licensed in FL, our experienced staff are trained to work with your residential applications. We service all major brands of air conditioners and HVAC including Trane, Carrier, Rheem, Lennox, and York. Necessary service and repairs for your heating and air conditioning equipment is contingent upon your past maintenance, the operating environment, and the unit's run time. B&G Heating & Air Conditioning is ready to dispatch one of our experienced Jacksonville AC service repair technicians to your home in Jacksonville, Ponte Vedra, Orange Park, or Jacksonville Beach. Whether in the dead heat of summer or the bitter months of winter, a heating or air conditioner breakdown can be stressful. To help your home comfort return to normal, we offer service that comes fast and efficiently, with reasonable cost. Instead of stressing, give us a call. 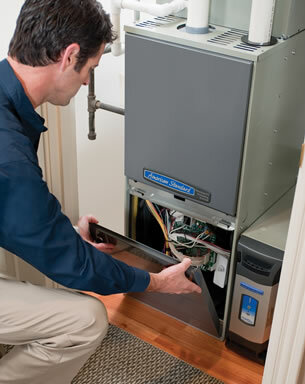 Our heating and air condition technicians will identify the problem and recommend the proper solution for your budget. We have built our company by relying on our customer relations and referrals we receive, and we will work quickly, fairly, and at the right price to continue this trend with our services for you. B&G Heating and Air Conditioning is a Drug Free Workplace and therefore all technicians are tested before employment as part of our ongoing commitment to quality for our clients. Fully insured and licensed, B&G heating & Air Conditioning is equipped and ready to provide you with HVAC service, repairs, or maintenance. Contact us to request your AC repair in Jacksonville. We can be reached through our email form, or by phone by calling (904) 620-0081.